FNP Gardens also boasts of mega venues that offer perfect places for corporate events such as award functions, product launches as well as conferences. The venues including The Ritz, The Riviera, Udman and Vilasa are equipped with facilities that make them perfect to be noted as corporate party venues in Delhi as well as Gurgaon. Amongst the above mentioned venues The Ritz and The Riviera are the popular corporate party venues in Gurgaon as they offer spaces for more than 1500 people. 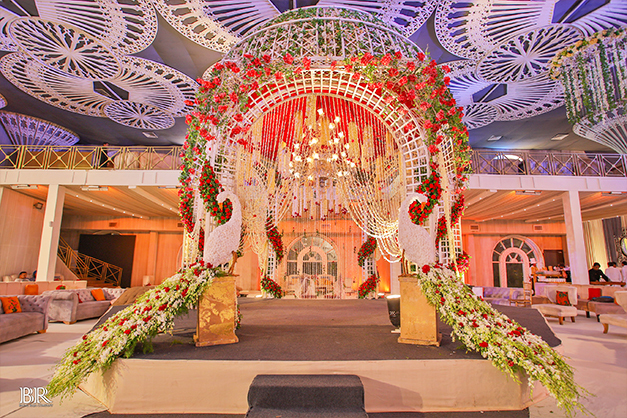 The Ritz is a grand venue by FNP Gardens that is designed along the lines of The French chateau. It is one of the popular corporate party venues in Gurgaon as it boasts vast space that can accommodate more than 2000 guests. With all the modern amenities and world class services, The Ritz is perfect for any type of celebration. Vilasa is a popular corporate venue in Delhi as it provides all the necessary services as well as décor for hosting award ceremonies as well as conferences. It is a closed banquet hall with vast parking space that makes it the perfect corporate venue. The Riviera is one of the most sought after venue for events in Gurgaon that are just perfect for any kind of corporate event. Each and every detail of this venue exudes sheer luxury. It has a vast area that can be used for corporate events and parties. Udman is a multi-venue resort by Ferns N Petals. It has three banquets, a terrace garden and a lawn with a swimming pool as well as a glass house. It is a sophisticated venue is best among corporate party venues in Delhi being an impeccable place to host award ceremonies, opulent gatherings, product launch and other corporate events. Even the lawn has a possibility of customization is immense as per your events.